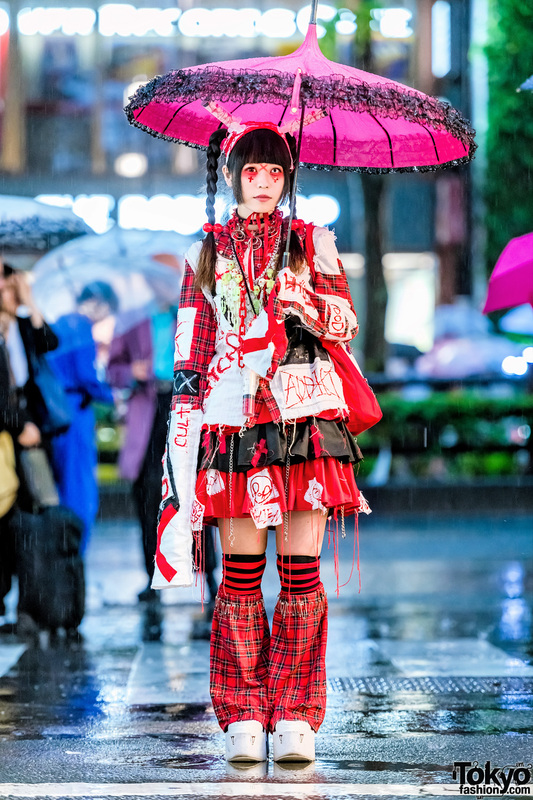 Harajuku girl with colorful kawaii street style. 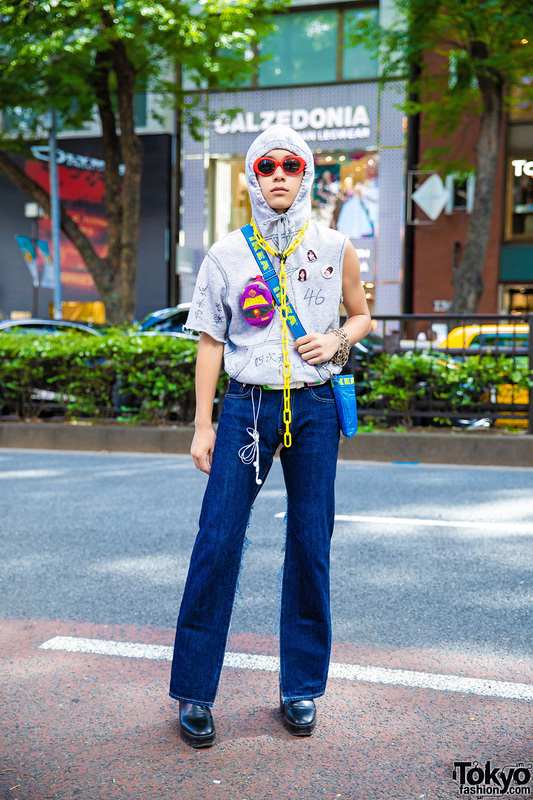 Japanese teen wearing a remade hoodie top, jeans, black ankle boots, and crossbody bag in Harajuku. 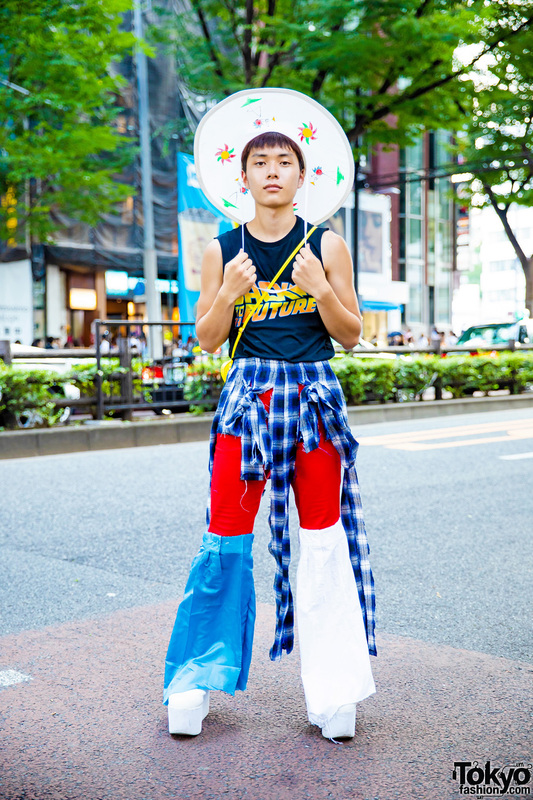 Harajuku student dressed in remake fashion with sleeveless shirt, flared pants, white platforms, Spongebob sling and a wide brim hat. 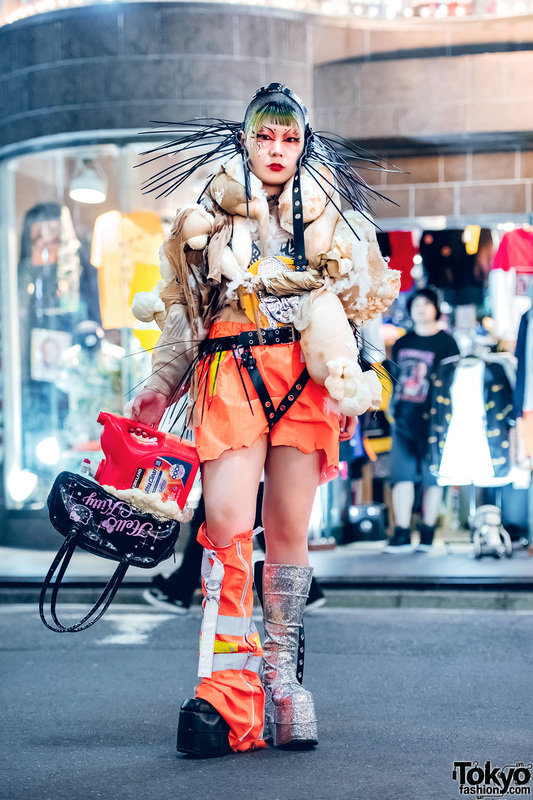 Young female Japanese designer showcasing handmade punk and gothic inspired street fashion in Harajuku.